Are you planning a trip to Poland? Are you moving to Poland? Do you have Polish heritage? Be honest: How cool would it be if you knew Polish? Look, it's a fact: If you know a bit of the local language, your trip will always be a more enriching experience! Don't be your average tourist - stand out! At Project Fluency we believe that in order to communicate well you only need to know the basics of any language well. For this reason our expert linguist team has researched the most useful Polish phrases, grammar rules, and words. 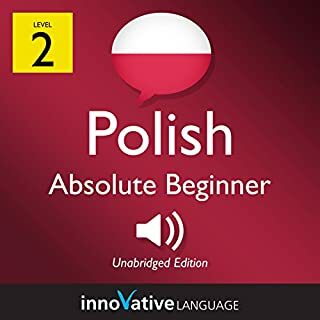 Start speaking Polish in minutes and grasp the language, culture, and customs in just minutes more with Absolute Beginner Polish, a completely new way to learn Polish with ease! 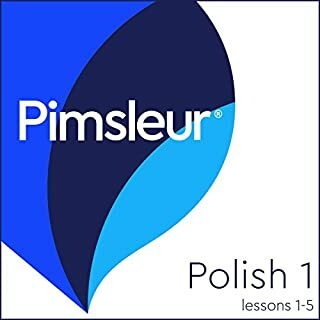 Absolutely new to Polish? Don't know where to start? Before you take that trip to Poland, get a solid foundation of Polish first! Master the basics of Polish conversation the fun, fast, and easy way! 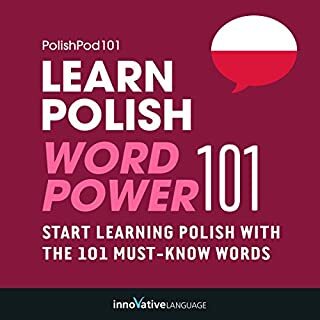 Try this audiobook and start speaking Polish instantly! Unfortunately the pdf did not download which makes things a little difficult. The course is ok but tends to jump from one subject to another and back. Not too many phrases but does try to explain Polish grammar, which is really useful. Warning! Where are the lesson notes? I have thoroughly enjoyed the presentation of this introduction - but how can I get a hold of the lesson notes? These are repeatedly referred to by the teachers, and clearly deemed an important part of the lessons. I have only access to an iPad, is this a problem here? 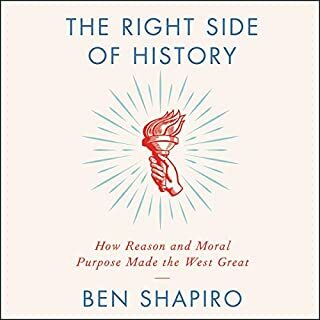 There is no warning at all on Audible that the course is not complete upon purchase. Surely, this should be made clear from the outset! I am very disappointed over this o mission, and cannot therefore recommend this otherwise well structured and well presented course to other Audible customers.